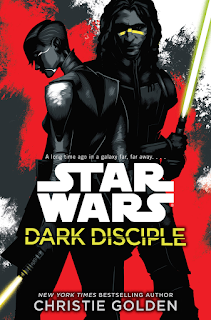 Dark Disciple is the latest in the new Star Wars extended universe books. They're slowly adding to the new extended universe after wiping out the old one and it's been interesting to see what they concentrate on. Dark Disciple takes place near the end of the Clone Wars and obviously draws it's inspiration from the Clone Wars TV show. The two characters that are given the most focus are Ventress from the Clone Wars TV show and Jedi Master Voss, who is the main character for the majority of the book. I'm glad this book mostly stays away from characters from the movies since they obviously have plot immunity. They are present, but they aren't the focus. All the tension and character growth happens through Ventress and Voss. The book is all about grey force users. I've always thought that grey force users are much more interesting than either Jedi or Sith. Trying to ride the line between light and dark while giving in to neither is extremely fascinating. Almost all of my favorite force users from the old expanded universe were some shade of grey. Voss and Ventress both end up riding that line throughout the course of the story and the world is richer for it. 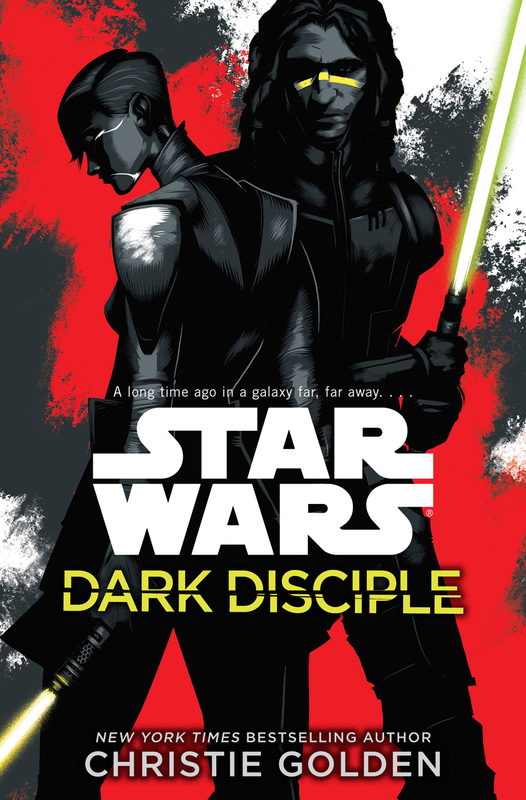 Overall, Dark Disciple is a fun read that helps flesh out the Star Wars universe during the Clone War. If you're at all interested in that time period you should grab this book. Nice. I wanted to see more into grey force users. I may just give this a look into. I think it's so much more interesting when everything isn't clear cut black and white.